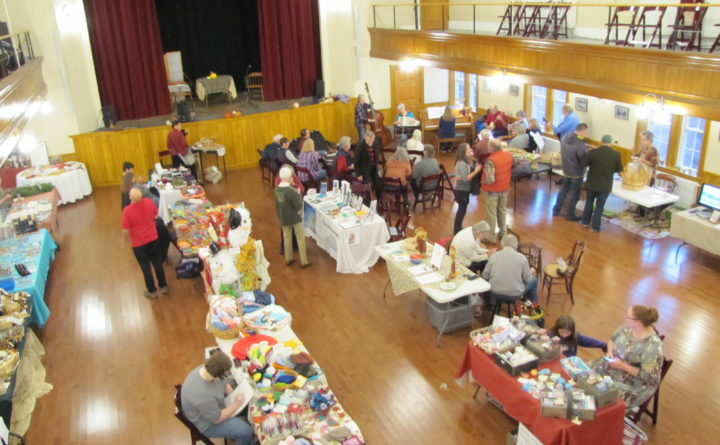 DOVER-FOXCROFT – The inaugural Fall Folk Festival at The Commons drew 130 guests to enjoy live music, storytelling, artisan demonstrations, home baked goodies, and more. Musical performers included Adrienne Clarke, Tony Estes, Troy Youngblood, Esau Rickey and the band, Some Reel People. Mary Annis told “The Tale of the Little New Testament.” The quilt winner was Ellen Garneau. The basket winner was Everett Simpson. Raffle tickets for the Toyota Celica ($35 or 3/$100) remain on sale at The Commons at Central Hall and other business locations through Dec. 21. The Fall Folk Festival is slated to become an annual event, scheduled next for the second Saturday of November 2019.